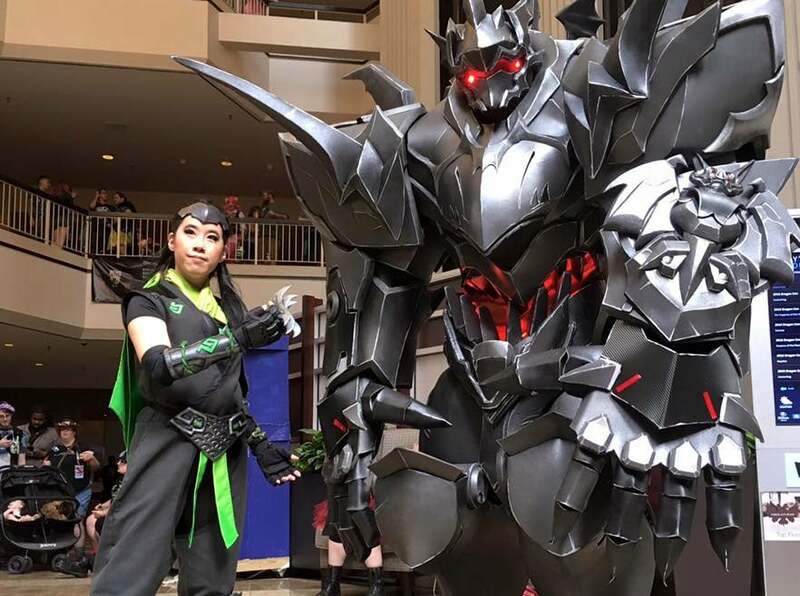 Genji cosplay by Nefeni Cosplay Egg Sisters have been absolutely dominating Dragon Con with this Reinhardt, which despite looking like an enormous statue is actually a cosplay outfit. Incredible. You can see more of Egg Sisters' work at their Facebook page. Impressive but that first photo is crazy deceptive. Either the other woman is borderline-dwarf or they're using some LOTR-level forced perspective. It seems legitimate. 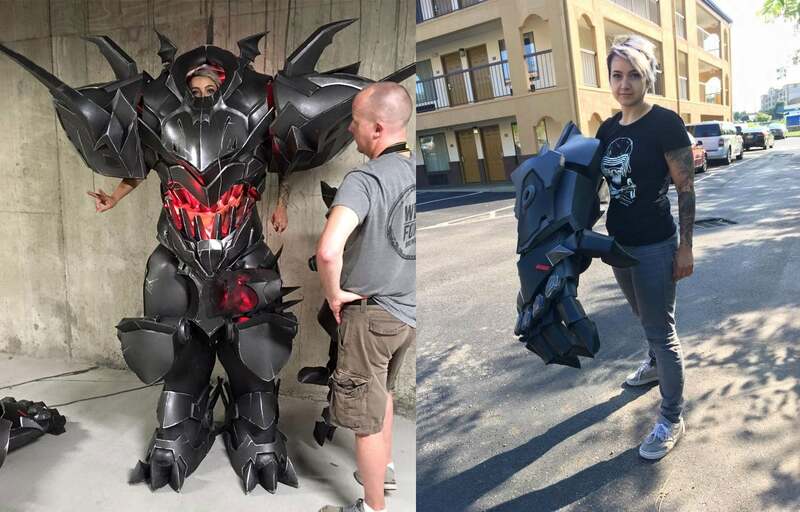 In the bottom photo the top of the guy's head is in line with the outer point of the shoulder pad while the top of the lady's head only reaches about half way up the pad making her about half a head shorter. 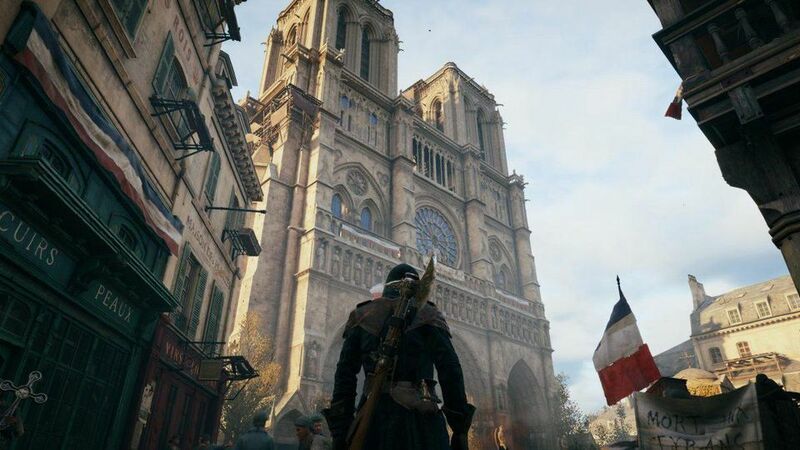 In the first video the people walking behind it are only reaching part way up the shoulder pad too.